If I sat down and calculated the amount of grits that I have consumed in my duration on this earth. It would probably be…no it would most certainly be an unhealthy number. There was a copious amount of grits served every morning during my childhood. Typically with an ungodly amount of butter and a little teaspoon or so of sugar. However, this uncooked ground corn goodness was never limited to that one particular meal of the day known as breakfast. Often solidified and sliced then fried in bacon grease, accompanied with shrimp and Gullah gravy (we’ll talk about that soon) or incorporated with that can of salmon Q in the bottom of my granddaddy’s cast iron skillet. Until about 3 weeks ago.. But I did try this waffle recipe that added a little grits.. Then I added a little buttermilk. Then this weekend I found my waffle iron in the box with my shoes.. Which then had me cooking grits and stirring batter to make these waffles at like 6 o’clock on a Sunday night..
Then 3 hours later Eric Northman met the true death on True Blood while giving me a glimpse of somethin he probably should of kept hiddin..
Random and unrelated.. I know this… but I could not NOT talk about that season Finale.. I mean WTF! If it wasn’t for Game Of Thrones I would now be in the process of cancelling my HBO subscription. 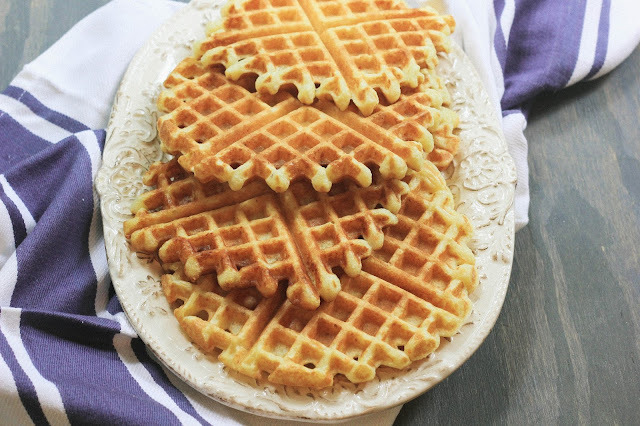 But these waffles made up for Bill’s weird moments, Sookie's bad choices.. and Eric’s hidden treasure..
They’re light, slightly moist with those crisp edges that equal waffle perfection. Made with 2 of my favorite ingredients. In a medium sauce pan bring 2 cups of water to a simmer. Once water starts to simmer add in butter. Bring to a boil then whisk in grits. Stir girts frequently until thickened and creamy about 8 -10 minutes. Remove from heat and allow to cool to room temperature. Once cooled, stir in buttermilk and eggs. In a separate bowl, whisk together flour, sugar, baking powder and baking soda. Add flour mixture to the grits mixture until just combined. 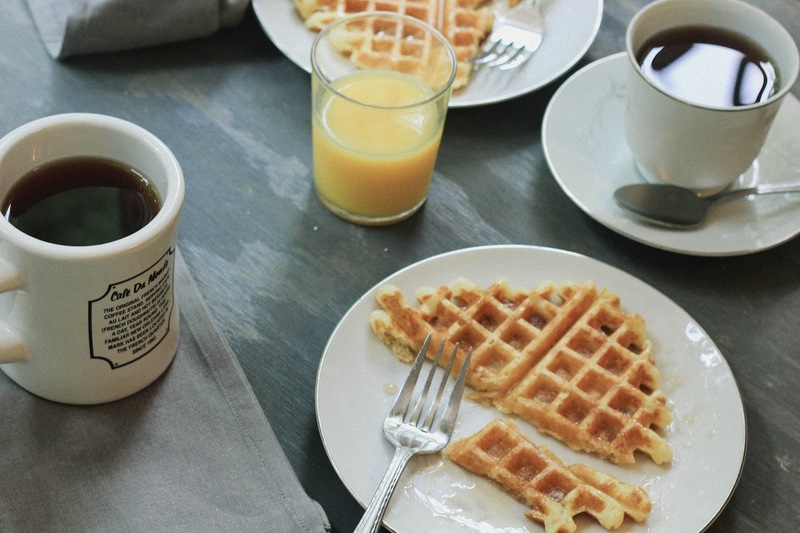 Cook waffles in a preheated waffle maker (or iron) until golden brown. 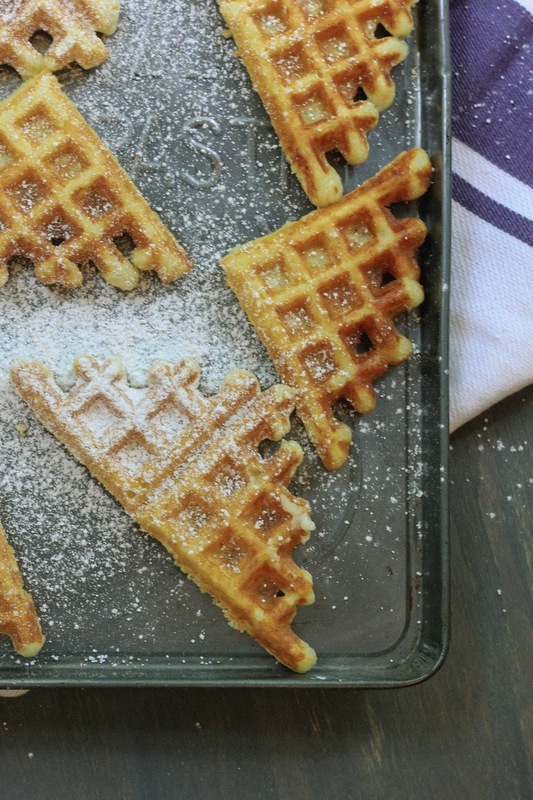 I used a waffle maker to make these. Each waffle took about 1/2 cup of batter, which was poured in the center of the iron and took about 3 minutes each to cook. Serve immediately with your favorite syrup or if your like the folks in my house..powdered sugar.